Have you ever wondered if monkeys really do like bananas or if sloths can eat upside-down? Book a Keeper Experience with us today and find out the facts for yourself. Each of our Keeper Experiences gives you the opportunity to take part in feeding and taking care of the animals with one of our knowledgeable keepers. You’ll get exclusive behind the scenes access, and the chance to tailor make your experience. Our keepers will accompany you into each enclosure so you will get the opportunity for some unbeatable pictures with your favourite animals while you serve out the afternoon feeds. Our unique junior experiences give children the chance to get involved behind the scenes too. 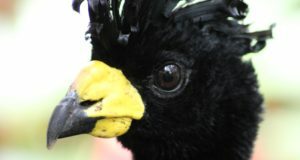 *All junior experiences (under 14) include one free accompanying adult. Tailor your experience with animals you’d most like to meet. 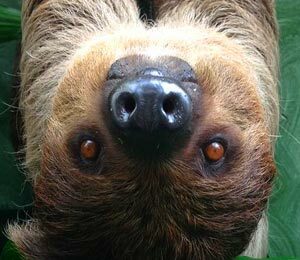 We do not run dedicated ‘sloth experiences’ because our sloth is free range and therefore may not be accessible on the day of your experience. Please also note that interactions with the sloth are strictly limited to observations of the keeper while feeding and running through her training routine. There is no physical contact from members of the public allowed, due to the fact that sloths are classed as dangerous animals. What we suggest you do instead, is book one of our tailor made experiences, choosing other species that you would like to include and if the sloth is accessible, we will include her as a priority. If she is not, then you will still have plenty to do on the experience and avoid a wasted trip. The best way to book your experience is to contact us by email with the following information: Name of recipient, age of any children, duration of experience, preferred animals to include (up to three on a one hour tour), preferred dates, daytime phone number for payment. Please also let us know of any severe nut allergies beforehand so that we can avoid animal feed containing nuts. Note that weekend experiences fill up very quickly and normally need to be booked at least a couple of months in advance. We will contact you to arrange payment over the phone by credit or debit card. Once your payment has been received, we will send an information letter confirming your booking and letting you know what to expect from your experience. A receipt will be provided on the day of your experience. Please note that the bookings are managed by our team of animal keepers who are not office based, this means they are not able to check emails every day so there may sometimes be a delay before they respond. 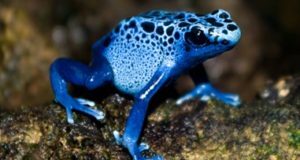 What animals can I choose for my keeper experience? Most of our animals are available for keeper experiences, please let us know when you book if you’d like to tailor your experience to include particular animals and we will do our best to include them. See below for more information about what you can expect from your experience. Please note, our free ranging animals are not always co-operative and it cannot be guaranteed that they will be visible when you visit. However, the keepers know their habits better than anyone and will do their best to find them when possible. Note that we reserve the right to restrict access to any animal if we feel it is necessary on the grounds of health and safety. Animals may not be included in your experience if they are on medication, breeding, or showing signs of stress or aggression. 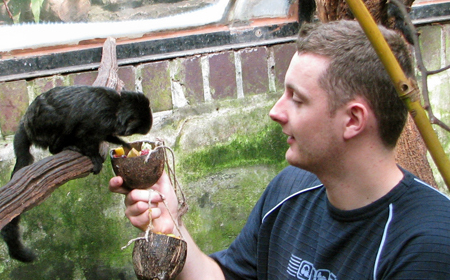 The Goeldi’s monkeys are usually happy to take food from the hand and are very interactive. This will usually include feeding out vegetables and live invertebrates, and then finding the coconut bowls to fill up with any left overs. An agouti lives here as well, who is very shy and so won’t be involved in the experience but food can be hidden around on the floor for him to find. Please let us know of any severe nut allergies beforehand as the agouti feed often contains nuts. 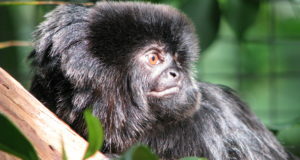 The pygmy marmosets are slightly shyer than Goeldi’s monkeys but will warm up when offered food and will normally take it from the hand. This will usually include feeding out live invertebrates and spreading artificial tree gum along branches. The toucan is very happy to take fruit from the hand and will usually show off his catching skills if you have a good enough aim to throw his pellets for him. For younger children it is an advantage if the accompanying adult is able to lift them as he tends to stay on his higher branches. The agouti will sometimes venture out from his hiding spot to take a piece of food from the hand, and then the rest of it can be hidden around the enclosure for him to find later on. Please let us know of any severe nut allergies beforehand as the agouti feed often contains nuts. The armadillo is a very friendly bundle of energy and will often come up to investigate the interesting smells on your shoes. He is not aggressive when he does this but he is very strong with large claws and so is not very well suited to people who are a little nervous of animals. We cannot hand feed him as he is very clumsy with his mouth, so this involves placing food around the enclosure for him to find. Depending on the day, we will sometimes include some enrichment building to keep him busy for the rest of the afternoon! He is fed on fruit and vegetables, and sometimes may also include live invertebrates or a dead mouse. The stingray and turtles are trained to come to a feeding point at the side of the aquarium. They are fed using tongs, so if booking for younger children this will be up to you to decide whether they will able to operate them properly. The feed point is quite high up, so again the accompanying adult for younger children will need to be able to lift them up. This will involve feeding fish or crustaceans, and occasionally live invertebrates as well. The snakes are fed a dead mouse, chick or similar item using tongs. You will offer the food to the snake in its enclosure and wait for it to strike and take it- this is very fast and will probably make you jump! Please note that as our snakes are only fed every other week, they may not be available for every experience and will be subject to the date you choose. Do I need a Living Rainforest entry ticket as well? No, keeper experiences include free entry to the rainforest for the whole day, but any friends or relatives with you will need a ticket to enter the rainforest (excluding one free adult with the Junior Keeper Experience). Entrance to our shop and café are free to everyone. What time does the experience begin? All experiences take place in the afternoon and normally begin around 2pm. In winter experiences may begin slightly earlier due to fewer hours of daylight. Can I buy one as a gift? Yes you can. Simply let us know the name and age (if under 14) of the recipient and when you book the Experience. We will send you a confirmation letter with the date left blank, the recipient can then contact us to arrange a date at their own convenience. What is the age limit for the junior experience? Children between five and 14 years of age are eligible for junior experiences. Please bear in mind that young children will be more limited in the activities they can participate in. What’s the difference between a “junior” and “adult” experiences? Every junior keeper experience includes one free accompanying adult place. The adult will be alongside the child (but not participating) throughout the experience. Can I take photographs of the animals? We highly recommend that you bring a camera with you on your experience, but please leave behind any expensive or bulky equipment such as tripods and lenses. Many animals do not like flash photography so make sure you know how to turn off this feature on your camera. Can I make a provisional booking before I pay? Provisional bookings can only be made for weekdays and not weekends due to restricted availability. How many people can join the same Experience? We recommend no more than two people at a time. This is due to the small size of many of our enclosures and because most of our animals are kept in small groups. If there are more than two people in your group then each person gets to do less and we feel your experience is not as enjoyable. Note that we cannot allow more than two participants in an enclosure at the same time. Will I get to touch or hold the animals? You will not be able to touch or hold any of our animals. None of our animals are treated like pets and we prefer for them to choose how much contact they have with us. Whilst some animals are happy to approach people and take food from the hand, others prefer to maintain some distance from strangers. We can promise that you will get closer than you are able to as a normal visitor and have the opportunity for some excellent photographs without glass or netting between you and the animals. What happens if I'm ill on the day? Please contact us as soon as possible so your visit can be rescheduled if necessary. Many illnesses are transferable from humans to animals so we cannot allow anyone into the enclosures if we feel they may put the animals at risk.